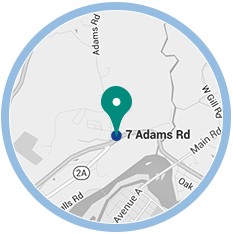 Wilson Orthodontics is an practice where the focus is always on you: your comfort, your smile goals, and your treatment experience. Along with our exceptional team, Dr. Douglass Wilson delivers patient-centered care to ensure you’ll soon be sharing your amazing new smile! We’ve made a commitment to our patients to use state-of-the-art, proven techniques that are customized to each person’s unique needs. Ours is not a high-pressure practice where we will push you into one particular treatment. Instead, Dr. Wilson will talk with you about your treatment goals and concerns, and then create a plan just for you. We take the time to get to know our patients, and form relationships with them that last long after treatment is complete. How can we make you proud to smile? With treatment custom-tailored to you! 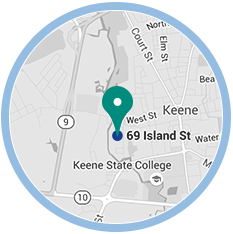 With two orthodontic offices in Keene, NH, and Greenfield, MA, we make your family’s orthodontic care as convenient as possible. Request a complimentary new-patient appointment today! The iTero® Element™ is a state-of-the-art digital impression system that eliminates the need for unpleasant traditional putty-based impressions. iTero scanning is comfortable, takes less than a minute, and creates highly detailed images for better diagnostics and treatment planning.